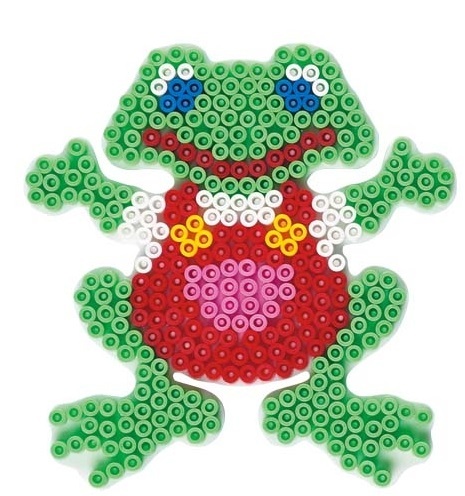 Make Hama Bead designs of your favourite animals. Frog’s become ever so popular in the 90’s thanks to the “Budweiser adverts. Thankfully it is one of the pegboards you can buy and make some amazing patterns. It’s Pegboard 225 and will make for some great fun. You can copy this design, or come up with a pattern of your own… I wonder what he would look like with clothes on? Why don’t you create something and let us know how you get on via our FaceBook Page! Frog Fact – There is only one frog in the world which makes the “Ribbit” sound – that’s the Pacific Tree Frog, a tiny North American frog which grows to a max of 2″ long. The sound it makes was adopted by Hollywood/Disney – hence the popularity and misconception. What you require to make this Frog design. Colours required – Here is a list of the colours you will require to make this Frog Pattern and the part number of the individual coloured (1,000) packs. 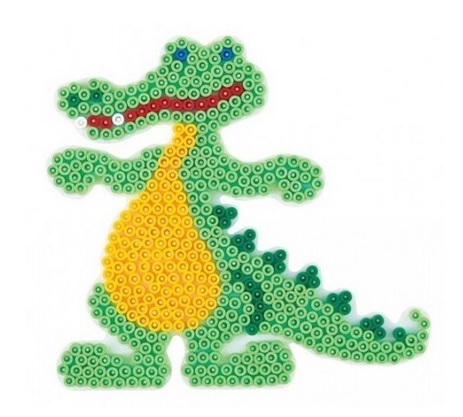 One of the Hama Pegboards you can buy is in the shape of a Crocodile. It’s Pegboard 259 and will make for some great fun. What you require to make this Crocodile design. Colours required – Here is a list of the colours you will require to make this Crocodile Pattern and the part number of the individual coloured (1,000) packs. This is a brilliant pattern from one of our Facebook followers “Chrystal Lewis”. Why not add your name, or a friends name to their favourite characters. This would make an ideal, cheap present and will look like you really made the effort. 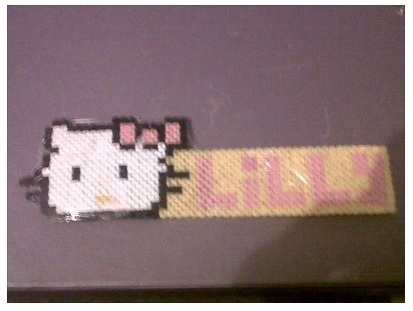 What you require to make Hello Kitty (Lilly) out of Hama Beads. Colours required – Here is a list of the colours you will require to make this Hello Kitty (Lilly) Pattern and the part number of the individual coloured packs. Have a go at putting you squirrel into your favourite teams colours. 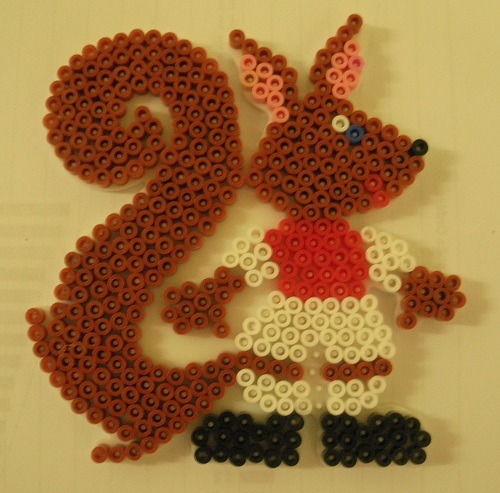 What you require to make this Footy Squirrel out of Hama Beads. Colours required – Here is a list of the colours you will require to make this Footy Squirrel and the part number of the individual coloured packs. A squirral work is never done! Make good use of the Squirrel shaped peg board and make some amazing characters of your own. You might have guessed that we bought a new Hama Bead box set today… and this pattern is another one that features within. 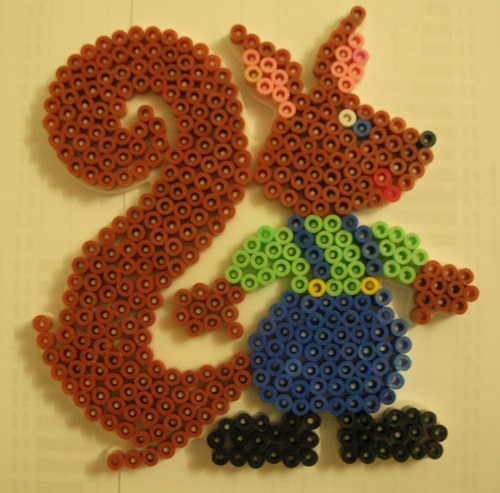 What you require to make this Squirrel out of Hama Beads. Colours required – Here is a list of the colours you will require to make this Working Squirrel and the part number of the individual coloured packs. FISH – FISH – FISH! Recently I have been bugging the wife to get a fish for our little one, I’m afraid this is the nearest we are going to get. We found it fun to blu-tac them to the window which gives a fish tank effect. Obviously you can test out different color schemes. This is one of the patterns on the Large Box Set which is currently within the 2 for £15 at Argos. 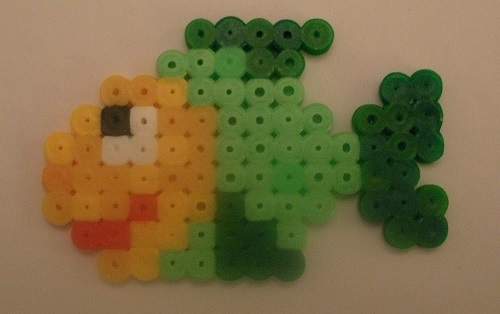 What you require to make this Tropical Fish out of Hama Beads. Colours required – Here is a list of the colours you will require to make this Tropical Fish and the part number of the individual coloured packs. Hama Your Grand National Winner! The most famous horse race in the world is due to take place on the 6th of April. 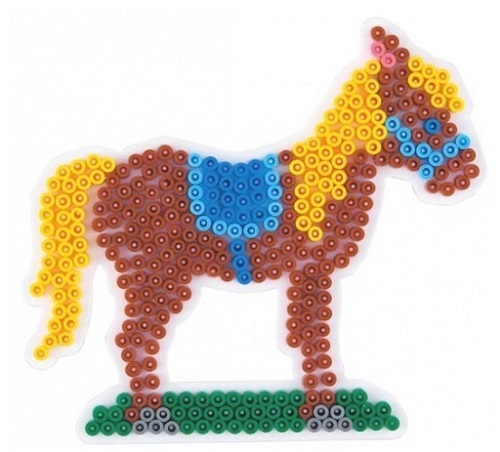 With that in mind, how about creating a Hama Bead Horse in the colours of your favourite. Perhaps it will bring a little bit of luck if you are having a bet. What you require to make a Horse out of Hama Beads. Colours required – Here is a list of the colours you will require to make this Grand National Horse and the part number of the individual coloured packs.